Fighting House Spiders: Tips You Need Now on How to Control Spiders - Yes Pest Pros, Inc. Fighting House Spiders: Tips You Need Now on How to Control Spiders - Yes Pest Pros, Inc.
House spiders are great for eating flies and other insects. However, they are terrible in every other way. Many of these spiders pose a health risk to you and your family, as they have venom that can make you ill with a single bite. This is certainly not a scenario you want in your home. 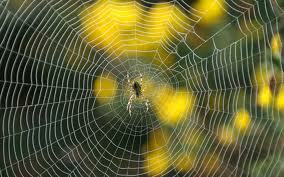 Therefore, it is important for you to know how to control spiders and keep them away from you and your family. Prevention goes a long way. It is usually easier to prevent spiders from coming into your home than it is to fight them once they are in there. If you have shrubs or hedges outside your house make sure they are all trimmed so that they do not touch your house. Treat all of the holes in any brick on your house. Close up all cracks with caulking. Vacuum or dust away any webs that appear outside your home. Get rid of any cardboard boxes in and around your home. Spiders find cardboard to be a nice cool, shady home when the heat is turned on outside. Go right to the food source. Spiders have to eat to survive, just like you and me. But if their food stops coming around, then they will either die or be forced to move out of your house in search of food. Find and use an insect treatment in your home. Or, if you are uncomfortable using a treatment yourself, you can hire an exterminator to treat your home for insects. Cleanliness can go a long way in your spider battle. Use your vacuum to clean all surfaces in your home, especially walls and ceilings. If you are unsure whether your vacuum will do the job, you can consult your exterminator. Getting rid of spiders and keeping them out of your house is a very important task for your safety and the safety of your family, so make certain you hire a good exterminator to help you. Where you live will determine which company you will be able to find to aid you in the pest control battle. In your search, be sure to use local search terms like Bloomington pest control, Elkhart pest control or Granger pest control. Find the perfect company, and you’ll get the information you need as well as a great way to keep you and your family safe and healthy.